Although the 750D’s 19-point AF array might not be as widespread as the 39-point AF system as found on the Nikon D5500, it improves on the 700D’s basic 9-point AF arrangement and is superior to the 11-point AF system as featured on another of its rivals – the Pentax K-S2. The AF points are laid out with five points top to bottom in the centre – reducing to two rows of three – with two single points either side. In Single Point AF and Zone AF there’s the choice of repositioning the AF point using the touchscreen or the dpad, but with the camera raised to the eye users will find the latter is more precise and accurate. Entering Zone AF allows you select from five areas, with the central area covering nine AF points as opposed to four at the sides and top and bottom of the frame. The performance of autofocus in Live View is exemplary. Positioning the AF point around the frame using the touchscreen revealed a fast, silent and smooth focus acquisition paired with our 18-55mm f/3.5-5.6 IS STM lens. The idea of Canon’s stepping motor technology (STM) is to ensure fast focusing while eliminating any nasty whirring noises that can disturb audio recording. It’s particularly effective and no alarming or off-putting autofocus noises were traced in video footage. The focus tracking feature also performed well, maintaining focus on the area of the scene I’d specified on the screen whilst panning and it can keep up to speed with most subjects provided they don’t move too erratically through the frame. Loaded with a Lexar Professional 2000x 64GB SDXC UHS-II memory card and set to record in Raw, the 750D had no difficulties rattling out a burst of 8 frames at 5fps before requiring a breather. This figure shot up switching it to record in JPEG where the camera continuously fired at 5fps for as long as I had my finger depressed on the shutter button. 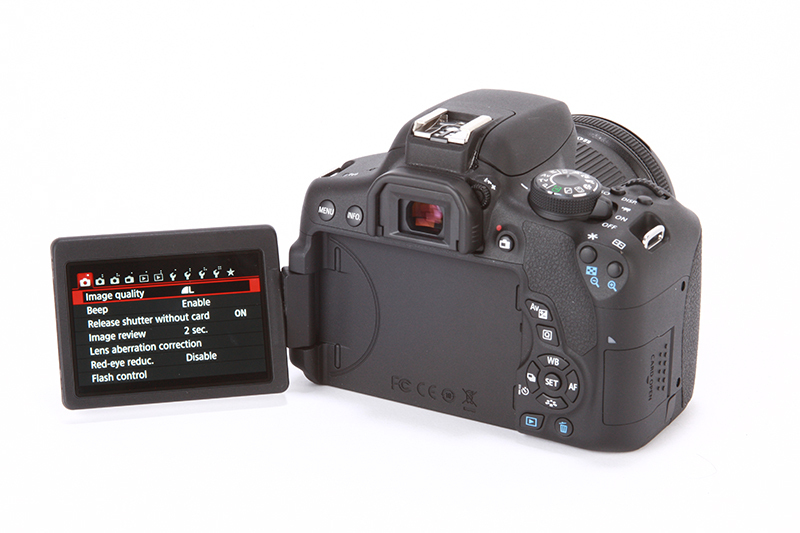 The 750D’s capacitive touchscreen is super responsive in use and makes the adjustment of settings and the selection of icons in the menu effortless. There’s no option to double tap an image during playback to review it at 100% however, and I found there to be a fraction of a second delay before an image is rendered at full quality when zooming in and flicking through to the next image. Outdoors, the screen rendered scenes and colours accurately, but I did find myself increasing the screen brightness from its default setting of 4 to 6. The 7560-pixel metering system also demonstrated that it’s capable and reliable. In the instance where highlights were clipped in the sky of a high contrast scene, the detail was recoverable from a Raw file using the highlights slider in ACR. 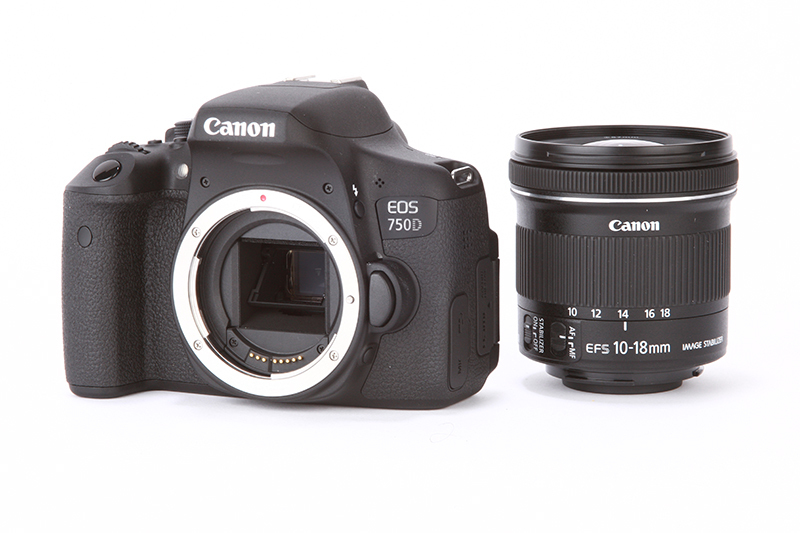 To balance highlight and shadows in-camera, users may wish to employ the 750D’s Auto Lighting Optimizer, which has three settings – low, standard and high. Alternatively, there’s also HDR backlight control available from the scene modes, which works on the principle of combining three exposures to create a more balanced image, but this does require the camera to be locked off on a tripod to resolve optimum sharpness. For those with a compatible NFC device, pairing it with the 750D couldn’t be easier – simply enable Wi-fi/NFC through the menu before touching the devices together to initiate a wireless connection. If like me you own a smartphone that doesn’t feature NFC the connection process takes a while longer and you’re required to select your desired Wi-fi function before connecting to the network from the smartphone’s Wi-fi settings – a process that takes around 30secs. Canon’s Camera Connect application is one of the better apps – it’s intuitive to use, lets you transfer individual images quickly and offers AF point adjustment direct from your smartphone’s screen as well as control of key exposure settings. Importantly for those who’d like to fire the camera remotely from distance, there’s no hesitation between firing the shutter on the smartphone and the camera capturing the shot. It’s even possible to delete images, change the drive mode and rate images using a five star rating system straight from the app.